It's time to admit it --- I've been holding out on you! I have a new book coming out on April 2...or do I? 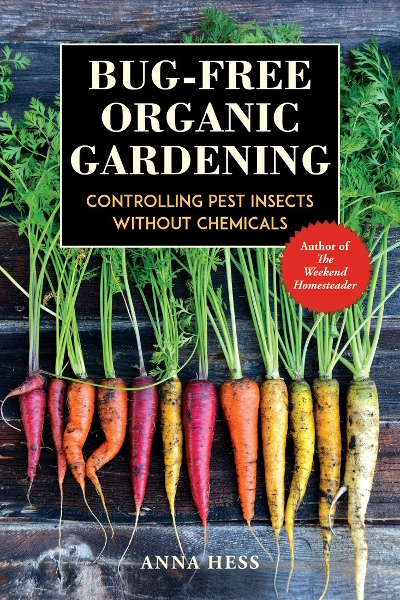 Bug-Free Organic Gardening is actually the third edition of The Naturally Bug-Free Garden, with 25% additional content rounding out the hands-on portion of the book. Which means that if you purchased one of the previous editions in ebook-form from Amazon, you should be able to get the updated version for free. I couldn't get Customer Service to push out the update automatically, but if you contact support they can hook you up with the new book file. You can also nab a paperbook copy now to ship once the book goes live. (It's currently 31% off on Amazon!) Or you can borrow a copy for free via your Kindle Unlimited or Prime subscription. While the permaculture technique of building a bug-resistant ecosystem is inherently appealing, most gardeners will occasionally be forced to lower their standards if they hope to harvest an abundant crop. Scientists have a name for this process of aiming for the stars but accepting reality when necessary—integrated pest management (or IPM for short). In a nutshell, IPM involves understanding how pest insects fit into the ecosystem, using preventative measures like row covers and hand-picking when possible, then hitting population explosions with the lowest levels of effective insecticides when all else fails. 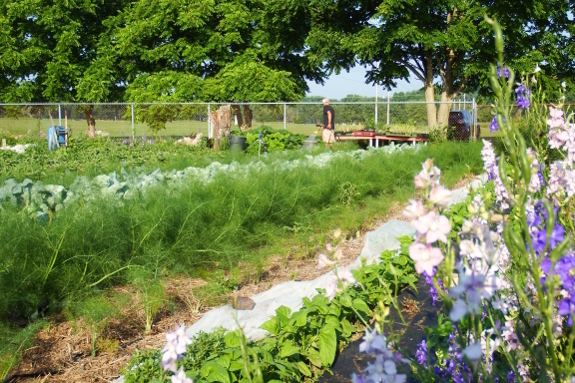 Dr. Arthur Trese of Ohio University's Learning Garden in Athens, Ohio, is a farmer well versed in IPM. He and a small cadre of enthusiastic interns run this 1.5-acre fruit and vegetable plot using vast quantities of elbow grease. Still, there are only so many hours in the day. So they have to work smart to harvest sufficient produce for twice-weekly sales to students, faculty, and members of the broader community. To that end, Trese and his interns utilize a vast variety of pest-control methods, beginning with smart plantings meant to overcome invasions before they start. 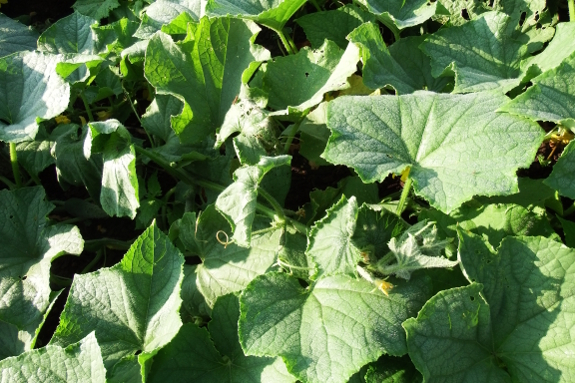 For example, summer squashes are set out successionally throughout the season, with older plants quickly transitioning from productive members of the garden community into traps for squash vine borers. Insects lay their eggs on first-generation stems, those vines are removed, then younger plants are left pristine. Cucumber beetles are a bit trickier since this smaller pest hits the OU garden both hard and fast. To counteract the inevitable invasion, Trese begins with row covers when the plants are young, adding in the organic insecticide spinosad when pest populations start to soar. "We first used Bt in our garden," Trese notes. "But Bt only works on caterpillars. Spinosad is more broad-spectrum and is the only insecticide we currently use on our crops." Trese has looked into chemical-free alternatives for the pesky cucumber beetles, mentioning pheromone traps that have recently come onto the market. "But traps are expensive," he notes as he pulls out a cucumber vine that succumbed to bacterial wilt borne by the small, yellow beetles. A pragmatist, he understands that sometimes it's better to accept a certain level of losses than to spend more than you earn battling bugs. Pragmatism doesn't prevent Trese from focusing on the ecosystem, however. His garden is full of flowers that attract pollinators and act as trap crops to condense problematic insects into one spot. Meanwhile, parasitic wasps are his slow-but-sure solution to cabbageworms on broccoli. "Wasp populations build naturally over the course of the season," Trese notes. "By fall, 80% of the caterpillars on broccoli are affected...but the cabbageworms keep eating anyway." The caterpillars may eat, but the community does too. 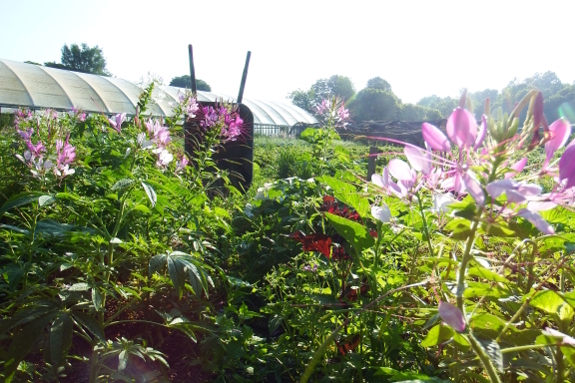 And after over a decade managing a garden that produces bags and barrels and bins of produce every week, Trese's integrated approach to pest control has clearly paid off. All it took was a few patches of flowers...and a lot of elbow grease. Want more bug-free garden tips? Nab your copy of Bug-Free Organic Gardening now!